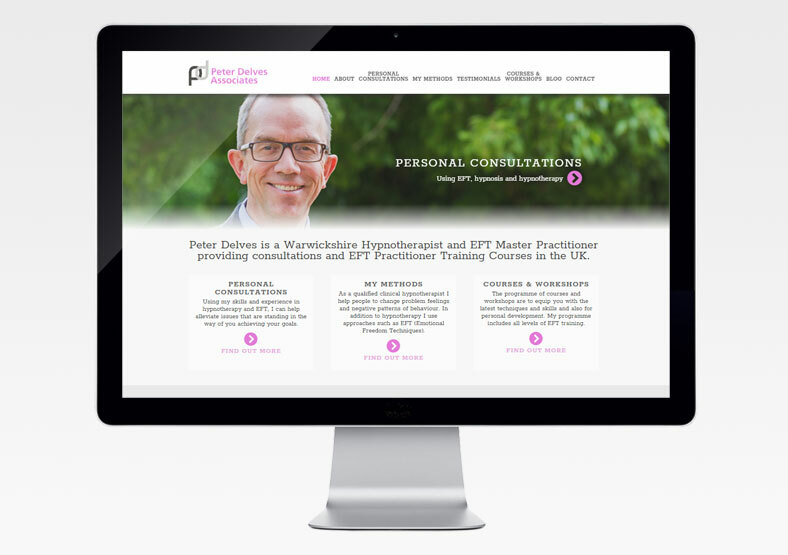 Peter Delves provides personal consultations to the public and training courses for health practitioners and corporate organisations. He uses a range of techniques including hypnotherapy and EFT (Emotional Freedom Techniques). Peter came to us with a website that was a few years old and needed updating. 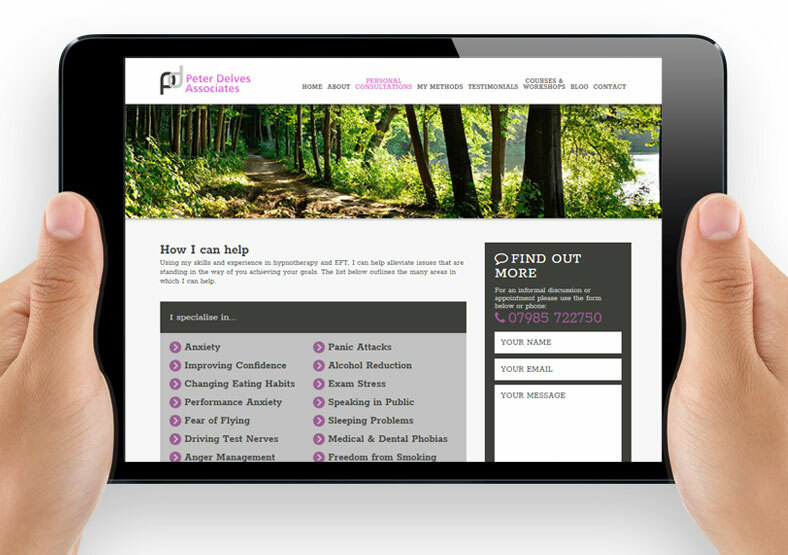 Peter wanted the ability to update the site himself, so we used the WordPress CMS (Content Management System). WordPress is a website framework which allows content to be easily managed by non-technical administrators, through a user-friendly interface. We designed and built the website using slideshows to keep the site interesting, and lots of whizzy features like concertina menus to hide and display content. The site contains rotating testimonials, social media links and a newsletter signup facility allowing Peter to keep in touch with customers and potential customers by email. Customers can also sign up for courses on the site, and pay online via PayPal. Finally we made the site responsive, so it can be viewed equally well on desktops, laptops, tablets and smartphones. Peter's business changed focus slightly in 2017, so we gave the website a refresh including a revised menu and new images.